Let me tell you about a great little book to read this summer. 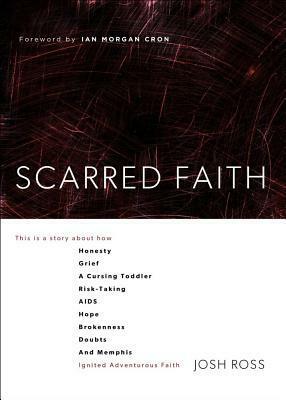 It’s called Scarred Faith, written by Josh Ross and published by Howard Books. The book is available in both paperback and kindle formats and a really cool bonus is that a portion of the royalties from every book sold will go to support Agape Child and Family Services in Memphis, Tennessee. The author, Josh Ross, lives in the city of Memphis where he serves as the lead minister for the Sycamore View Church of Christ. I tell you that because this book is an intersection between gospel and culture. That is also to say that the author is not writing from the academy halls of a seminary. He’s writing about where Christian faith is plunged into the realities of the world—both the good and bad—where faith becomes a scarred faith but also a deep faith. …two words wouldn’t let me go—”Jesus wins.” Even when it seems like death has won, the story of Easter echoes from the empty tomb that couldn’t hold Jesus, and death still can’t hold us. Death doesn’t get the last word. Jesus wins! (p. 36-37). What I also appreciate is that as Josh wrestles with faith and suffering, he neither side-steps the difficult issues that come with grief nor does he try to explain why suffering happens. Throughout the book the author shows his awareness of scripture and Christian doctrine without getting bogged down exegetical and theological issues. That is why not only a wide variety of people will enjoy easily reading through this book but it also will be a good resource to integrate into a church Bible class or small group gathering. In fact, the book has questions at the end to help facilitate group discussions. So go out and buy this book. It won’t take long to read and you will be blessed from having done so. This entry was posted in Churches of Christ, Faith, Hope, Scripture, Suffering, Theology. Bookmark the permalink. I’m sorry for the loss of your son. It certainly takes time to grieve and often, it seems, that people who have not walked in your shoes don’t realize how much time it takes to grieve. In fact, I tell people that people don’t “get over” suffering such losses. They do eventually learn how to live with loss (we must if we’re to go on living) but they still and will always grieve. Thanks, Rex. I meant to say in my comment that that I did NOT need “Sunday School Speak”. You are so right. We don’t “get over it”. Its always there. But so are my beautiful memories of him. Thanks, Rex, for this review. I also lost a son Jonathan in a truck accident. He was 35 years old. You probably know this. But in all of this, God is good. I did know that you had lost a son and I’m sorry for Jonathan’s passing. It’s never easy but I am thankful for the faith you have to still say that “God is good”. Your faith is an encouragement to all of us who have endured suffering.